Maajid Nawaz, Chairman and Co-Founder of Quilliam, and Sam Harris, author of The End of Faith, talk to MSNBC about their new book 'Islam and the Future of Tolerance'. 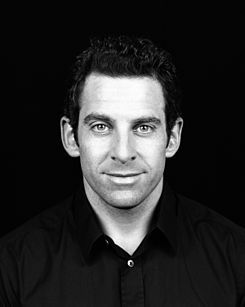 In the interview, Maajid Nawaz and Sam Harris talk about their new book as well as the need to identify the ideology we're faced with as Islamism and not falling for the 'Voldemort Effect' in which we do not name the issue we're faced with. The interview also discusses how to begin defeating the Taliban in the long-run by challenging by identifying an challenging the ideology which underpins their actions. Quilliam is the world’s first counter-extremism think tank set up to address the unique challenges of citizenship, identity, and belonging in a globalised world. Quilliam stands for religious freedom, equality, human rights and democracy.